Integration is now a key expectation within the delivery of health and social care services in the UK and internationally. However, it still remains difficult to achieve and sustain in practice. Based on learning from successful, and unsuccessful, integrated care initiatives, this book is an invaluable guide for those responsible for leading, managing and delivering integrated care across health, social care and housing. Written by an experienced team of researchers who have studied, led and supported integrated care for many years Integrated Care in Practice draws on latest evidence, innovative practice and helpful theory. It provides insights into the common pitfalls that such initiatives can encounter and demonstrates positive approaches to anticipating and responding to such challenges. Throughout, real-case examples are provided, and concepts and models are connected with the realities of day-to-day life for those working within these services. 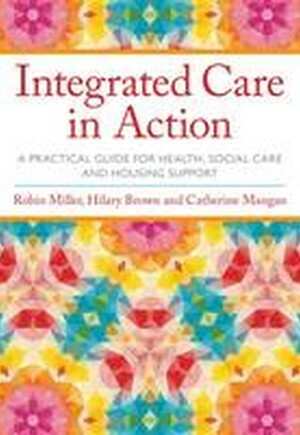 Integrated care is a goal to aspire to - this book helps to explain how we can turn this goal into practical action and positive outcomes. Preface. Key Terms. Chapter 1: Integrated Care: An Introduction. Chapter 2: Establishing Purpose and Need. Chapter 3: Engaging and Involving Individuals and Communities. Chapter 4: Leading Self and Others. Chapter 5: Managing Change - Processes and People. Chapter 6: Evaluating and Reviewing Integration. Chapter 7: Working with Service Users and Carers. Chapter 8: Working with Staff. Chapter 9: Working with Processes and Systems. Chapter 10: Sustaining and Improving. Resources. Index.